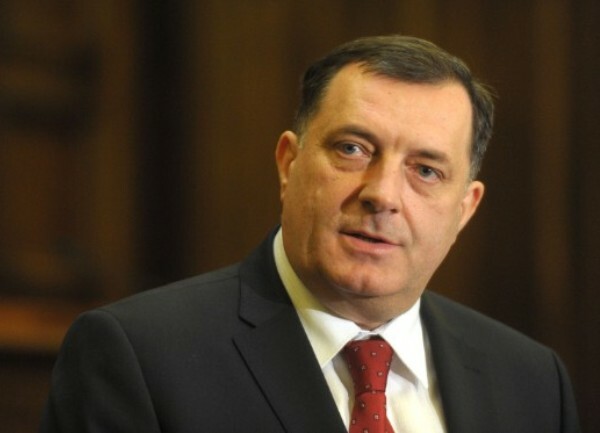 Republika Srpska President Milorad Dodik has said that he today gave a statement to the BiH Prosecutor’s Office in connection with the referendum on Republika Srpska Day, noting that the investigation is politically motivated and directed against Republika Srpska and its institutions. Dodik has told reporters in Istocno Sarajevo that his statement lasted less than a minute and that he said that he did not understand why he was called, adding that he does not expect any further actions by the prosecutor since there is no legal ground for it. “Everything else would be a proof of political motifs. Regarding this, I have reasonable doubts that the proceedings were rigged outside the Prosecutor’s Office and that certain structures in BiH, composed of the IC and Bosniak Muslims, stand behind it,” Dodik said. The Republika Srpska President has said that he tried to get the right to give a statement in Republika Srpska. “They did not agree to it and I was invited twice in the same case. I decided to give a statement, called the prosecutor, went to the Prosecutor’s Office and gave a statement,” Dodik has said. According to him, if the BiH Court and Prosecutor’s Office want a dignity, they should work in keeping with standards, and should not be politically motivated. Dodik has reiterated that there is no legal ground for the existence of the BiH Court and Prosecutor’s Office and that they must be abolished one day. He says that his safety is still very questionable particularly after the recent statement by Bakir Izetbegovic that Republika Srpska is more dangerous than terrorism in BiH. “This does not leave anyone indifferent,” Dodik has said. He has said that Sarajevo is not a place where he likes to go, but that nonetheless, he went there. “Great guys were with me and I felt excellent,” Dodik has said. On September 17, the BiH Constitutional Court brought a provisional measure to ban the holding of a referendum on Republika Srpska Day, but the Republika Srpska government, despite the ban, conducted the referendum. The BiH Prosecutor’s Office has announced that a prosecutor from the Department 3 questioned Dodik as part of an investigation into the failure to implement the decision of the BiH Constitutional Court. As part of this investigation, members of the Republika Srpska referendum commission and heads of caucuses in the Republika Srpska Parliament have already been questioned because of the holding of the referendum on Republika Srpska Day on September 25.